Pros: Custom-fitted, single-length irons drastically simplify swing thoughts and reduce setup adjustments throughout the set. Cons: It takes time to get used to the feel and appearance of longer short irons and shorter long irons. Shotmaking and trajectory control can suffer with short irons. Who they’re for: Single-length irons will appeal to serious golfers who are searching for consistency and precision in yardage gapping, but the “system” can suit anyone who’s comfortable hitting a 7 or 8-iron. Like most golfers, I’ve played my entire golfing life with what’s considered a standard set of irons; the 9-iron is longer than the pitching wedge, 8-iron is longer than the 9-iron, and so on, up to a 3 or 4-iron. Actually, I’d never even considered another way of doing it. That changed when Bryson DeChambeau started winning big tournaments, which shook up the golf equipment world. As the 2015 NCAA Individual and U.S. Amateur Champion, he not only gave credence to the concept of single-length irons, but put it on the map for golfers everywhere. The thing with DeChambeau is, as golf announcers and writers never fail to mention, he was a physics major at SMU and a very high-IQ golfer. Because of that, average golfers can dismiss single-length irons, thinking they need to be a genius or an equipment geek to play them. Admittedly, that thought crept in my head, too. 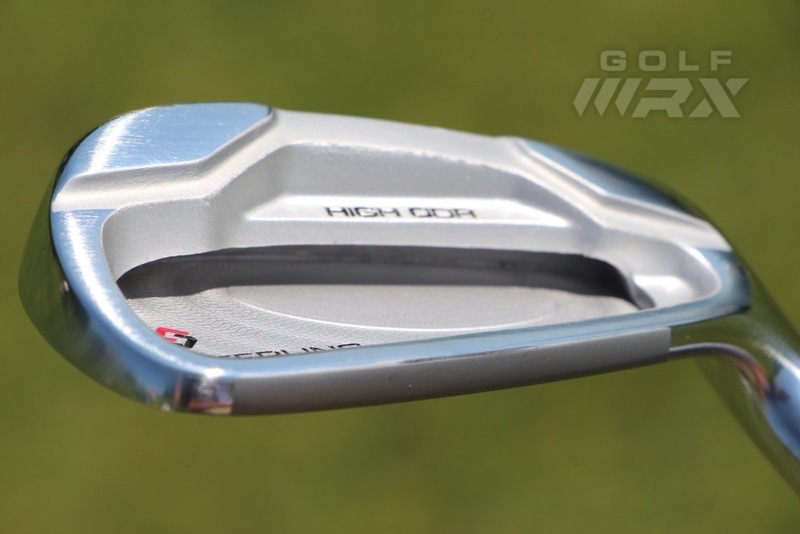 In fact, if I weren’t writing this review, I would have never actually gotten fit for a set of single-length irons. I played NCAA Division I golf, and always considered myself a feel player. Of course, every now and then I’ll put my swing on camera and see how my planes, technique and tempo look, but on the course I like to play golf with my eyes and hands. I’m more of a “that looks like a 9-iron even though the yardage says 8 iron,” than a “the yardage says 153, so I will hit a 3-quarter 8 iron” kind of player. I play a far different game than DeChambeau, who carries a chart with algorithms to calculate different yardages. That’s why I didn’t think single-length irons would be right for me, but I was wrong. 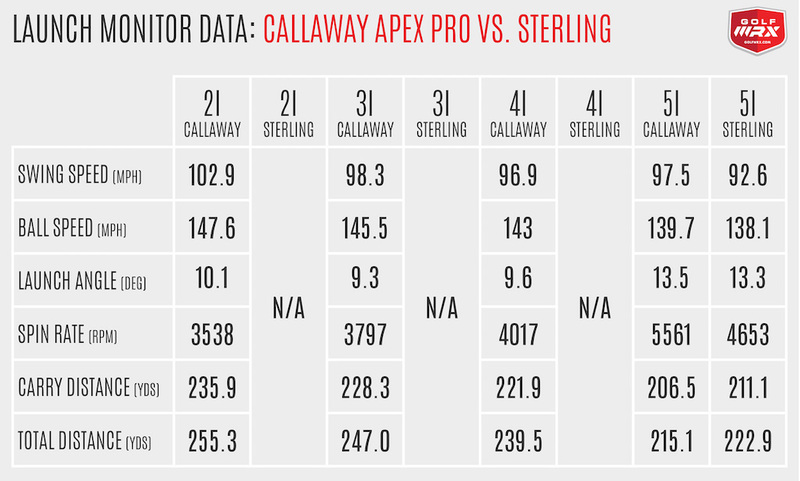 While single-length irons may be good for the super technical player who wants to dial in his yardage gaps, they’re also good for a player like me. Rather than having a set of irons and wedges, I simply had a bunch of 8-iron-length clubs in my bag — with different lofts, of course. Most golfers, like myself and Tin Cup, consider the 7-iron, or maybe the 8-iron, the easiest club to hit in their bag. You won’t believe the amount of stress it relieves to go through a round of golf thinking this way. The first time you put a 5-iron in your hands that’s the length of an 8-iron, it will feel like it’s from a junior set. It’s just plain weird to have an 23-degree club measuring only 37 inches. And holding a 37-inch sand wedge with 55 degrees of loft is equally as weird. It feels like if you hit it full, the golf ball is going to hit you straight in the forehead. 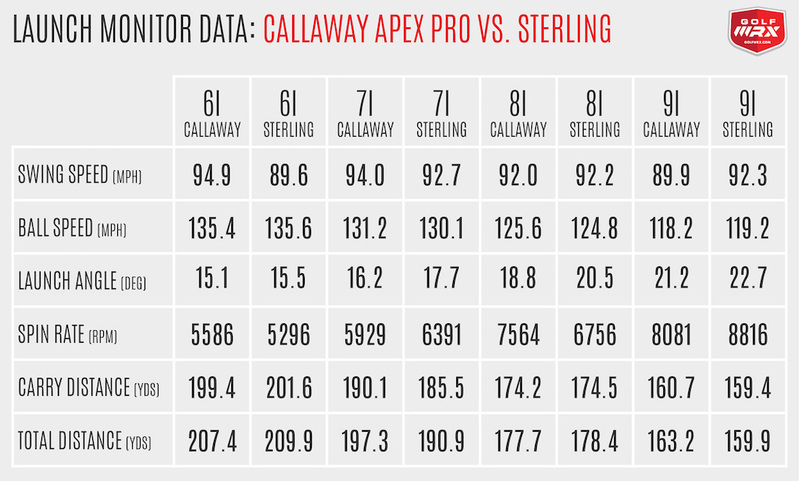 Trajectory control did prove to be a slight issue in the higher-lofted irons and wedges. Hitting the low, “dead-hands” shot just feels more difficult to execute when giving up inches of control. Of course, choking down helps, but that does effect swing weight and feel. On the flip side, trajectory control with the longer irons felt easier than ever. I felt more “on top of the ball,” and never felt like I’d balloon the shot as I do with the longer-length long irons of a standard set. It really feels like you’re getting 8-iron control with 5-iron distances. The biggest problem I found, however, is hitting clubs outside of the set. When I switch to my shorter lob wedge, or to a driving iron or even driver, the difference in feel is drastic. I have to segment my swing; I have an iron swing, and then an everything-else-swing. This would surely be less drastic with a fitting to adjust my other clubs to feel more like the Sterling irons (lie angles, swing weight, length, etc.). It’s an entirely new system of swinging, and adjustments should be made to the other clubs, as well. This is a change I will make going forward, as I’m committed to gaming the single-length irons throughout the summer. Related: Barney Adams on his single-length iron experiments. 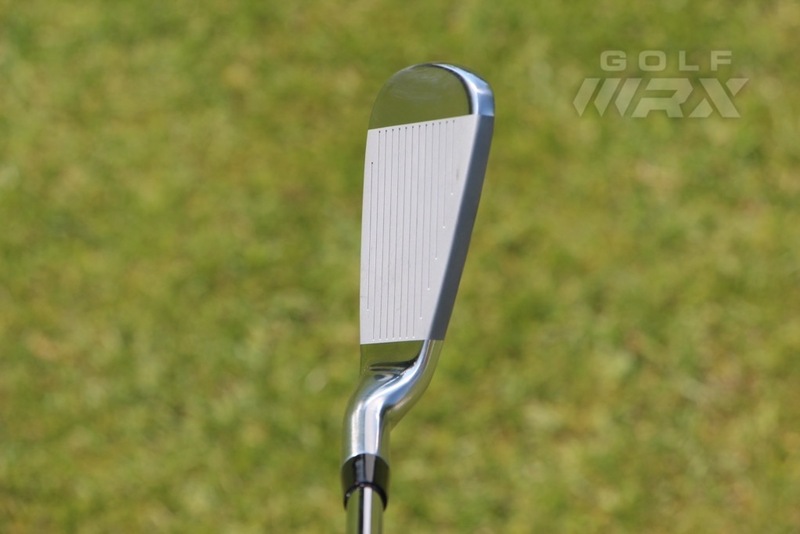 Around the greens, there can also be issues with single-length clubs. Shots like greenside bunkers or flop shots are basically out of the question with an 8-iron length sand wedge (in my opinion, at least), which is why I still plan to bag a standard-length 56-degree and a 60-degree wedge. 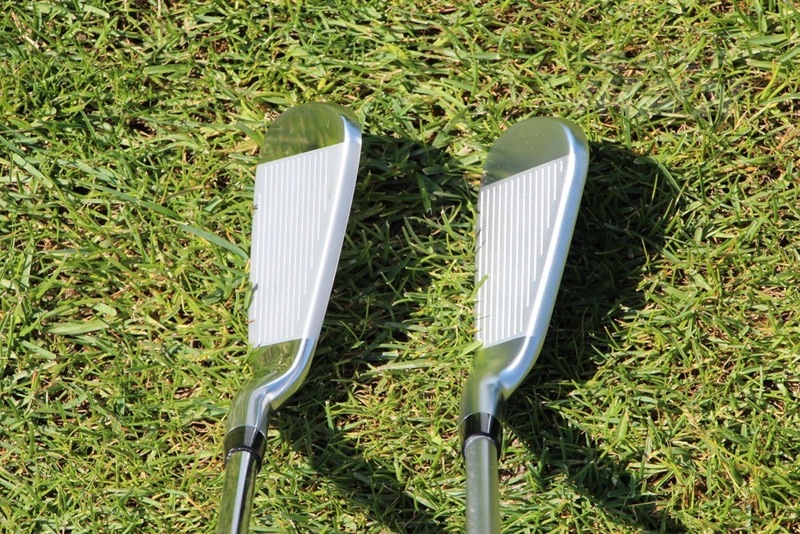 Also, yardage gaps between your longest iron (5 iron in the Sterling set) are inevitable, so you’ll need to fill that in with either a longer iron, driving iron or hybrid. As for the Sterling Irons themselves, I would recommend them to a prospective single-length iron user. Also, as Mark Crossfield says in his review of the Sterling Irons, the set could be a great tool for beginners because of their bigger size profile and faces. 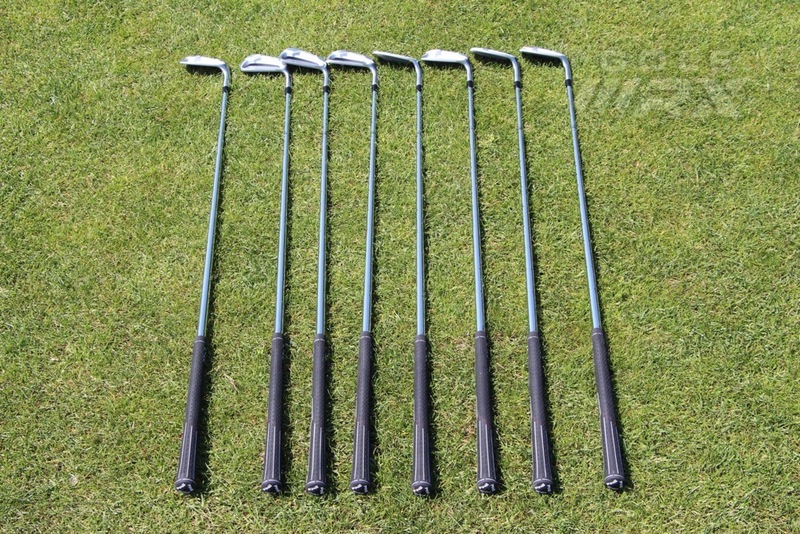 For testing, I took my old set of irons (specs below) and I hit them against the set of single-length Sterling Irons. I also have a 60-degree wedge in the bag, but did not hit it because I normally would not hit a 60-degree wedge full. But I will typically use it up to about 95 yards, and for most of my shots around the green. To see a full break down of the results, scroll down to the bottom of the story. 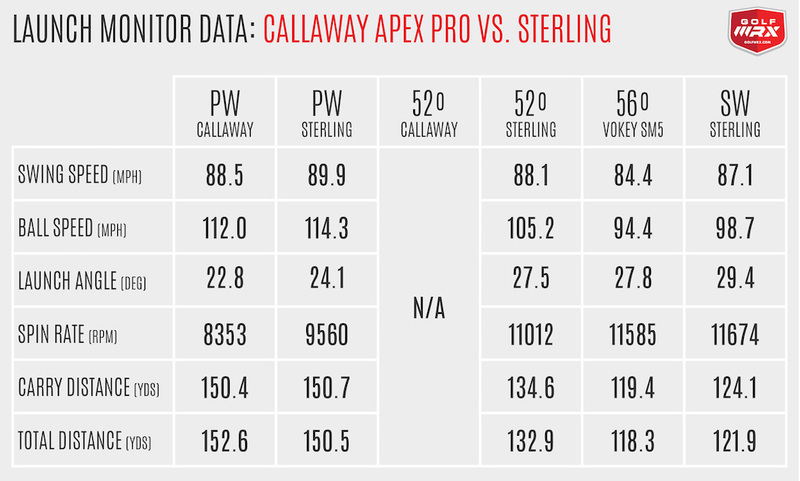 Looking at the carry distances above, you might be wondering how it’s possible that a Sterling 5 iron that’s 3 inches shorter than my Callaway X Forged 5 iron can fly almost 5 yards farther? That’s the magic of Wishon and Bowden’s design. The short irons (8-PW, SW, GW) are made from 8620 carbon steel, while the long irons (5, 6 and 7) are made with a multi-material, high-COR design. Wishon/Bowden gave the 5, 6 and 7 irons in the Sterling set hot faces (HS300 variable thickness steel alloy face plates, which are welded to their 8620 carbon steel bodies) and progressively moved their center of gravity rearward to produce a higher trajectory. If gapping is still an issue, Wishon offers a 23-degree 5 hybrid that will produce more height, and possibly more distance. 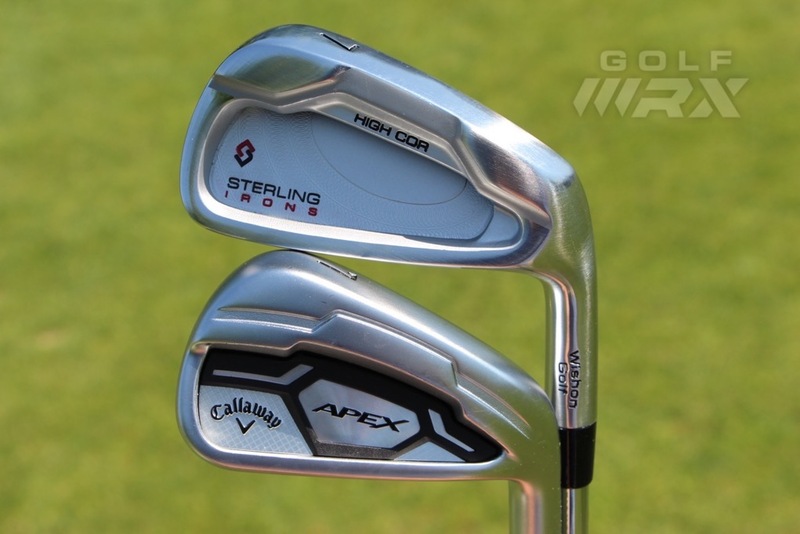 Related: Read more about the tech and specs of Sterling Irons, designed by Tom Wishon and Jaacob Bowden. As the numbers show, the high-COR design works to maintain distance and height you’d expect from longer irons, at least for me. The 5, 6 and 7 irons do, however, have an audibly louder “tink” sound at impact, which is different than the softer, duller sound of the shorter irons and wedges. Listen to the sound here in Crossfield’s Sterling Iron review. But remember, do not purchase a set of single-length irons without first being FIT. A proper fitting is important for any club or set of clubs, but with single-length irons it’sespecially important since the weight, lie angle, length and shaft will be identical for all of your irons. If something is slightly off, then it will be slightly off for every single iron in your bag. So make sure to get it right. 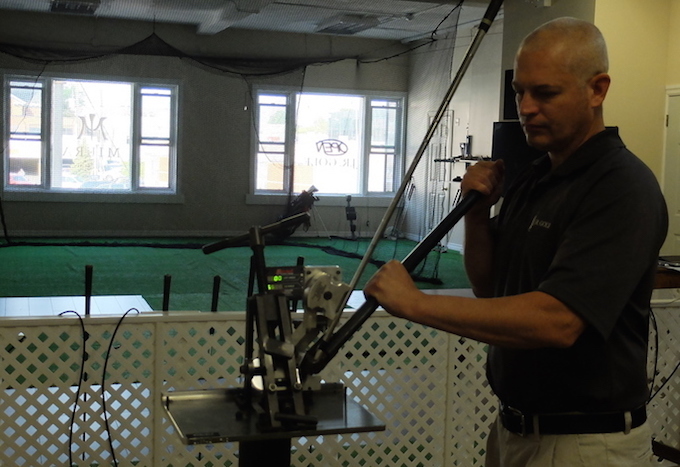 JR Robert and I going through a full custom fitting at his facility in Windsor. Luckily, I had an extremely knowledgable and talented fitter recommended to me by Tom Wishon: JR Robert of JR Golf in Windsor, Canada. 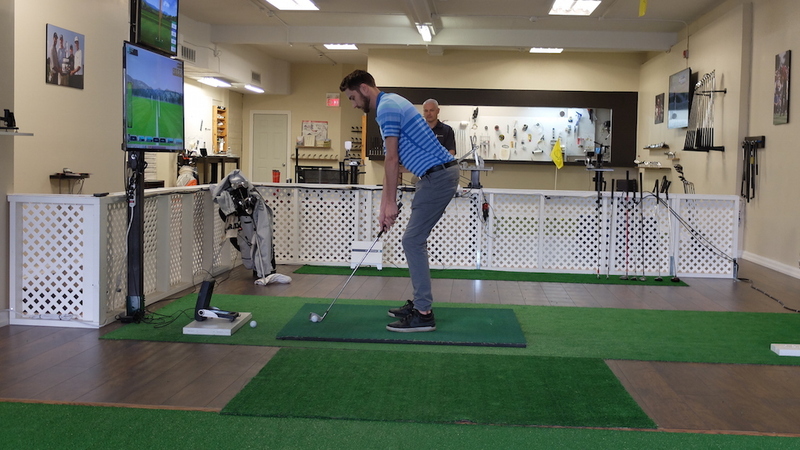 His golf shop has all of the necessities, including a Mitchell digital-bending machine, a “green machine” spec gauge, a turf putting green, a Foresight GC2, a Flightscope, and a hitting net where you can hit any club in the bag. Since the Sterling Irons are made from 8620 carbon steel, JR was quite pleased with the ease of bending (it’s no surprise that an irons designed in part by Tom Wishon would be fitting-friendly). Click here for other approved Tom Wishon-approved fitters. My irons are 37-inches long, but play just a hair shorter after having bent them upright. I also choke up a little on my clubs, so my irons effectively play 36.5 inches. My swing weights are D4, which JR said will make the irons play around around D1 because I grip down roughly half an inch on all shots. 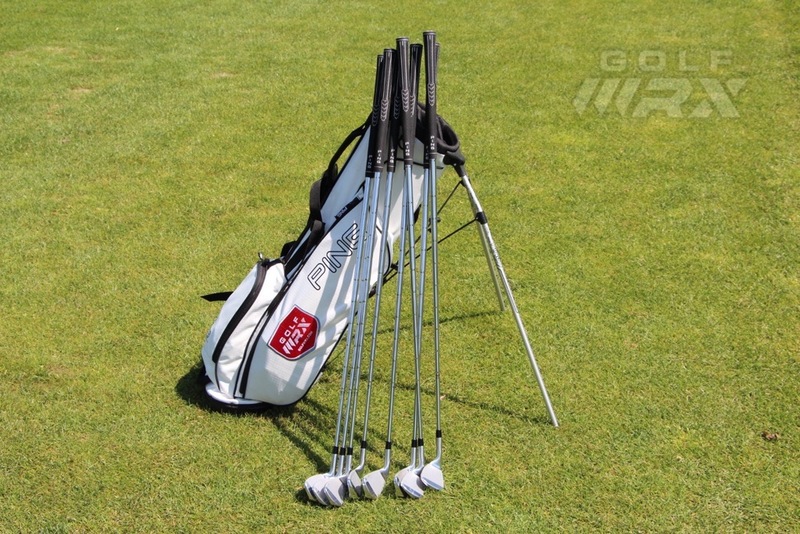 But how will a set of single-length irons coexist with the “standard” length clubs in a set? I show you how I’m doing it below. It should be noted that after testing, and extensive on course work, I will be keeping the 60-degree wedge in the bag from my old set. While I like the concept of single-length irons on longer shots, it became obvious that I had more control and felt more comfortable with a lob wedge outside of the set around the greens. Also, since I have the room, I will keep the driving iron in the bag, as well as a 4-iron for yardage gapping purposes. This setup leaves me with 14 clubs, and consistent gapping throughout the set. Your knowledge of single-length irons may not be the same as Bryson DeChambeau’s, but do not be intimidated by his reputation as golf’s resident engineering genius. Single-length irons are a legitimate option for golfers of all skill levels and backgrounds. The biggest hurdle in purchasing a set of single-length irons might be that you won’t know for sure if single-length irons are right for you until you go through a complete fitting, purchase the set, and play and practice with the clubs for enough time to get comfortable with the concept. For that reason, I suggest single-length for lost golfing souls who are looking for a drastic change, or super technical and analytical type golfers who want to exact their yardage gaps or any golfer who wants to simplify the game of golf with reduced swing thoughts and setup adjustments. DO NOT switch to single-length irons without getting fit. If you’re interested in the idea and are near the area, I suggest you get fit for Sterling Irons by JR Golf in Windsor, Canada.